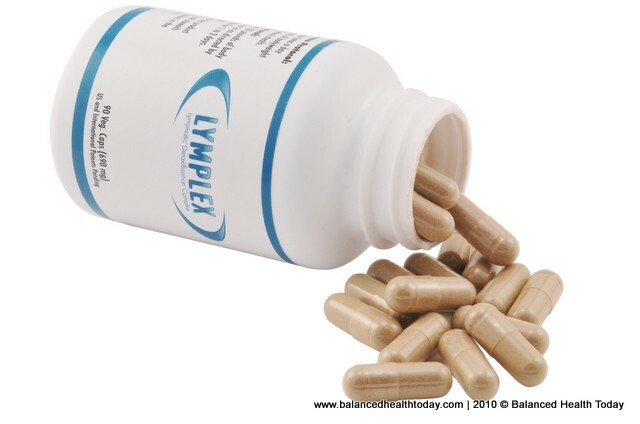 Lymplex capsules contain a blend of 10 organic and wildcrafted herbs designed to strengthen and tighten the lymph nodes and junctions as well as cleanse and flush out the 45 pints of fluid in our lymphatic system. The lymph system, which includes the 1,00,000+ nodes as well as specialized organs, such as the spleen, tonsils, thymus and appendix, is responsible for proper immune function, as well as the direct drainage and detoxification of the blood and interstitial fluids. Lymplex capsules can be used as immune stimulant at the first sign of a sore throat or general malaise, or as part of a complete detox program. Ingredients: A proprietary blend of organic or wildcrafted ginger, echinacea augustifolia, echinacea purpura, astragalus, cleavers, calendula, red root, lobelia, mullein, burdock and silicon dioxide. The capsules and all contents of this product are vegetarian.